This was the second time I've gone to Singapore, so when I arrived it didn't take long for me to start touring the town. 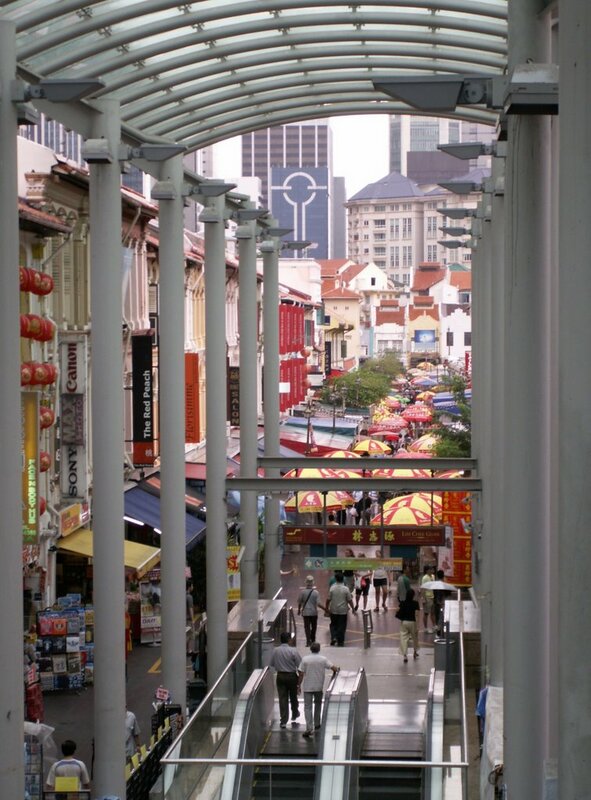 Despite it's location, Singapore is a surprisingly Western city. 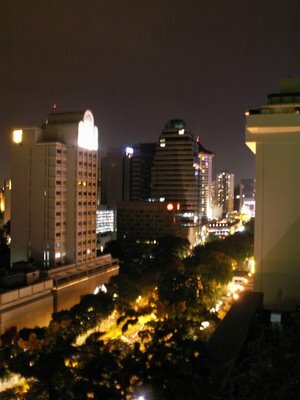 I was staying at the edge of the orchard shopping district, which is full of department stores and high end shops. 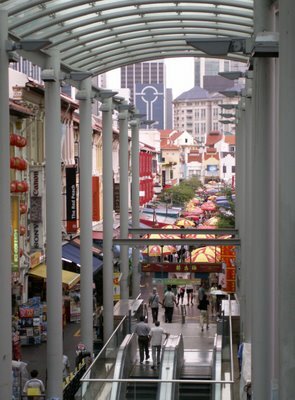 It's typically bustling from 10AM until midnight; something which can be said about much of Singapore. 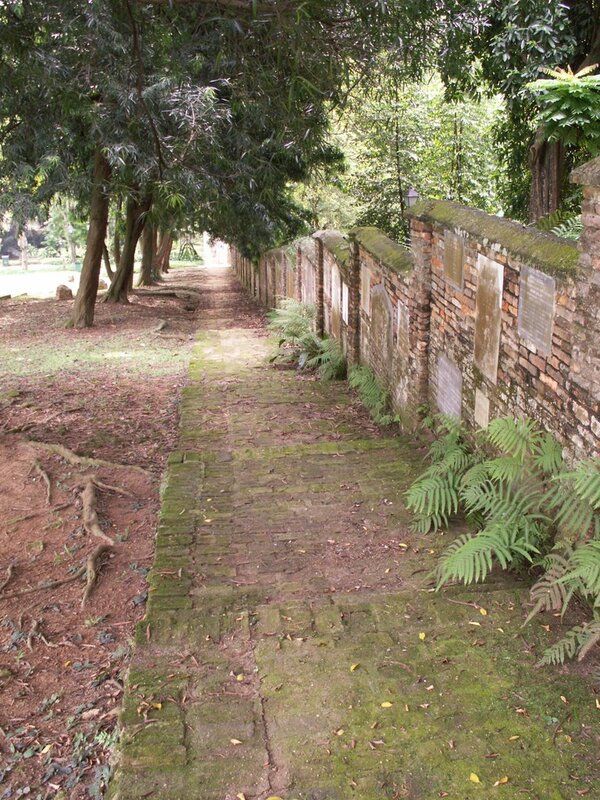 Of course, if you're looking for something a bit quieter, there are a few less commercial areas you can visit. 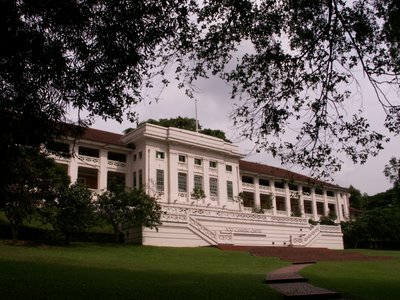 In fact, right in the middle of the shopping and business district, there's a large park built around Fort Canning. This site, which was originally established as an ammunition and supply depot eventually became home to a British barracks. No longer needed for it's original purpose, it's now home to a dance theatre company and a culinary school. It's really situated in a picturesque location. I'm not the only one who thinks so. I accidentally walked into the background of a photoshoot while I was our early on Sunday morning. (If you get Asian fashion magazines, look for a guy in a big white hat standing in the background) Of course the nice scenery isn't just a recent thing. 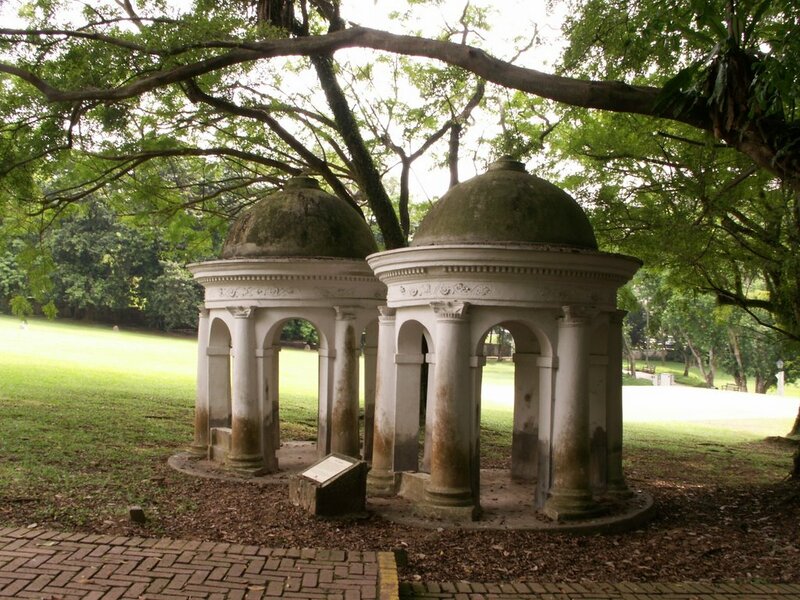 Earlier in the life of Fort Canning, the British erected 'the cupolas' on the hill by the fort's center. 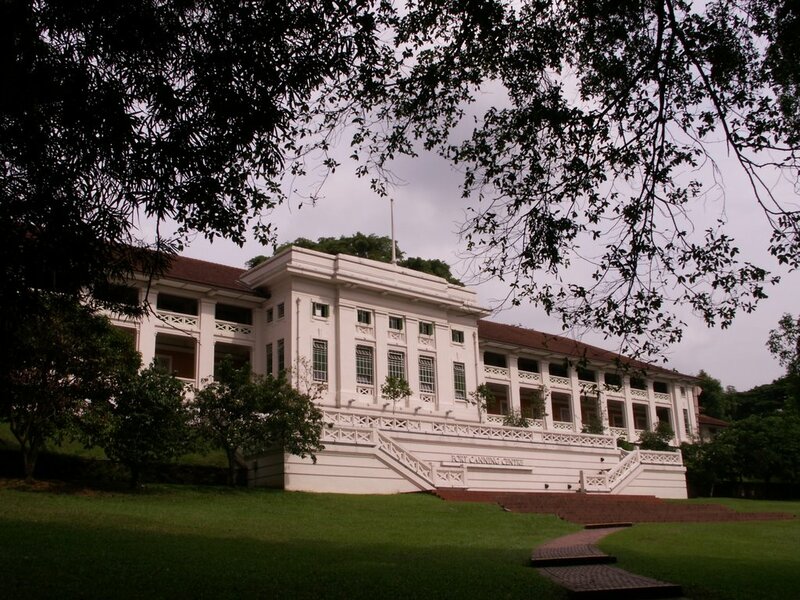 There's no potential military purpose for them, but they would make decent places to relax and enjoy the greenery. Near here is the edge of the Fort Canning Green there is a memorial wall with tombstones from the old Christian cemetery that was located here. 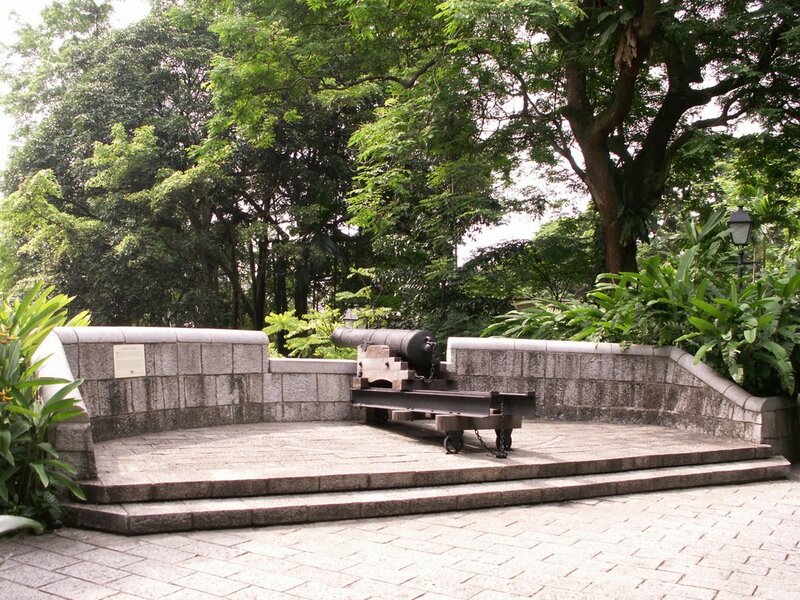 With little concern over the need for military action in the middle of Singapore, the only weapons left guarding the fort are about 200 years old. This cannon is too old to have ever been used here at Fort Canning, but does make a nice ornament amid all the landscaping of the fort. If you want a little bit more excitement you can go down to the riverwalk where there are quite a few people enjoying the shops and cafes. You'll also find a few interesting bits of sculpture on display. 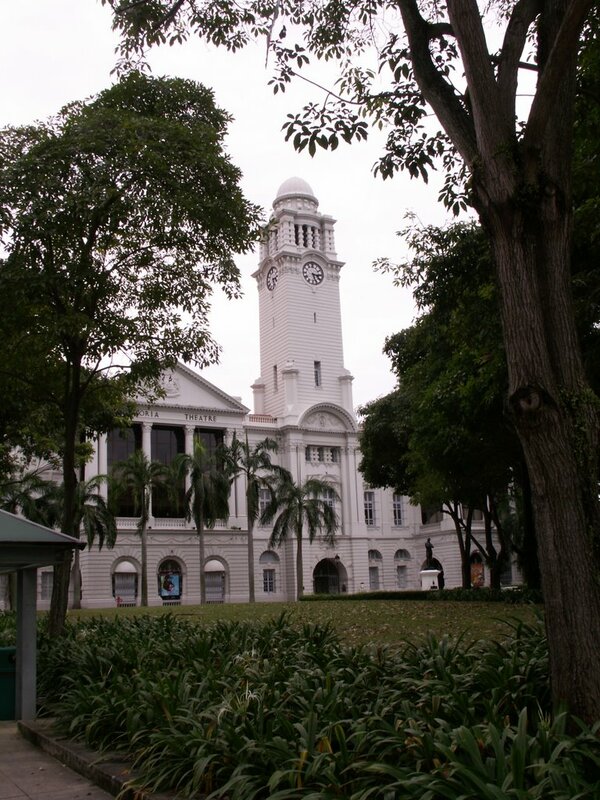 Near the mouth of the Singapore river you'll find the Victoria Theatre; one of the many bits of architecture that reminds us that this was once British territory. 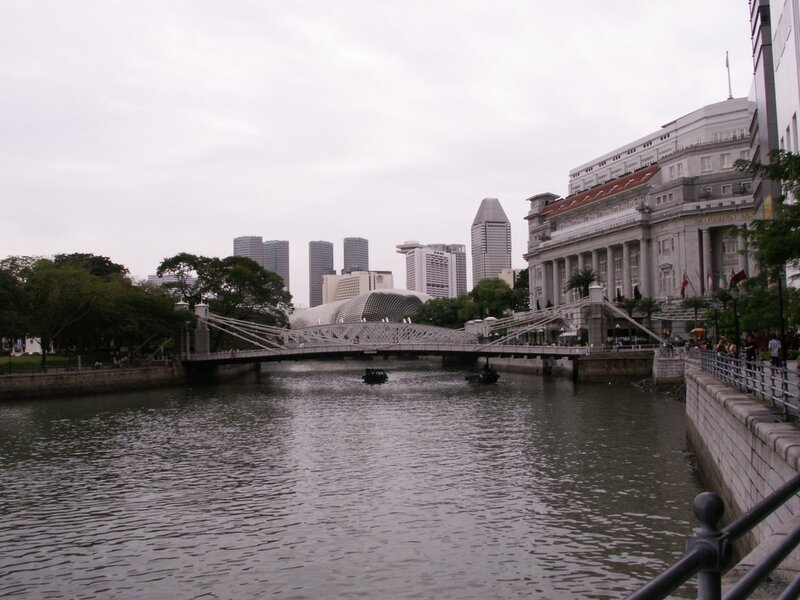 If you noticed the statue in the picture, that's Sir Stamford Raffles who is credited with playing a key role in the founding and development of Singapore. Traveling further to the south you'll find Chinatown which it's assortment of shops, street vendors and malls. 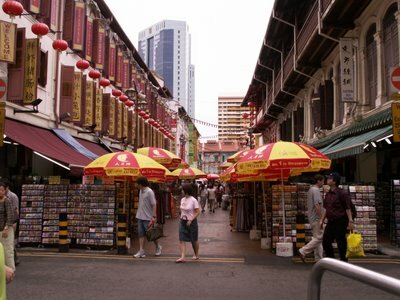 After the shops open up there's a wide assortment of gifts, clothes, souvenirs, and any sort of food available on the street. I picked up a very nice, super-compact umbrella for 10 sing$ here. I suspect the price would have been a few dollars lower, but I didn't think to buy the umbrella before the rain began. 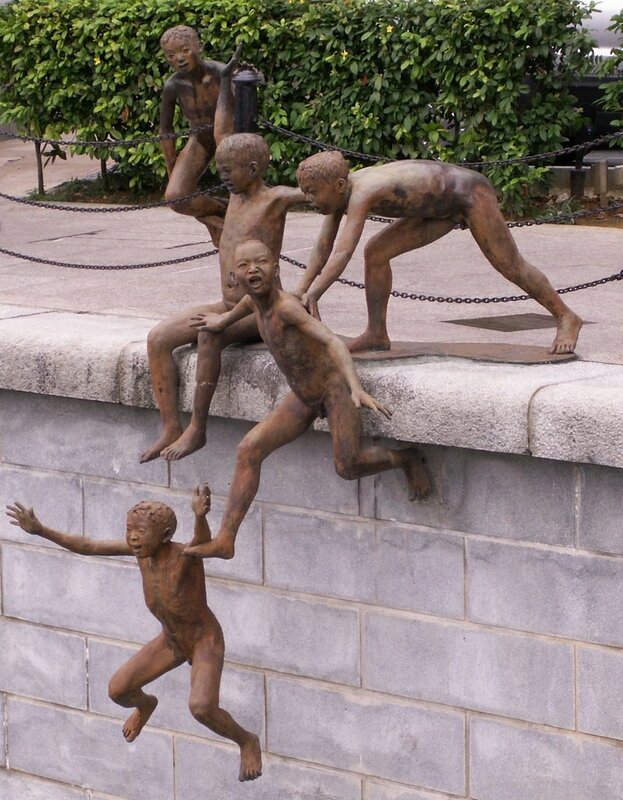 That covers the various sights I enjoyed on Sunday. There's a little more, but it'll have to wait until later.